With a Side of Chocolate: My First Wedding Wednesday... On a Tuesday! WE HAVE A DATE. And a venue, of course. And I'm a little bit excited in case you can't tell. I also had every intention of writing this post tomorrow BUT I completely forgot about the Harry Potter link-up and I HAVE to participate in that tomorrow. On October 19, 2014 at 4pm I will officially be a Mrs. I cannot even believe that this is real life! Now that we officially have a location, my planning gears are in full force. My brain is working overtime trying to decide what I really want out of it and how I want it to look. Here's a couple shots of the property to give you a little idea of what our day may look like. All venue pictures from their website! I'll be coming down from the Bridal suite and walking down the brick path you see in the far right picture and meeting Christian at the gazebo. Here, it's not decorated, but we can do whatever we want with it. I'm picturing burlap, lights and wildflowers wrapped around it. And I'm also considering maybe some pumpkin or something else Fall-like on the ground around it. I'm also pretty positive that I want shepard's hooks coming down the aisle and probably with some sort of Fall flowers in it, as well. Or maybe candles. There's plenty of time to decide! 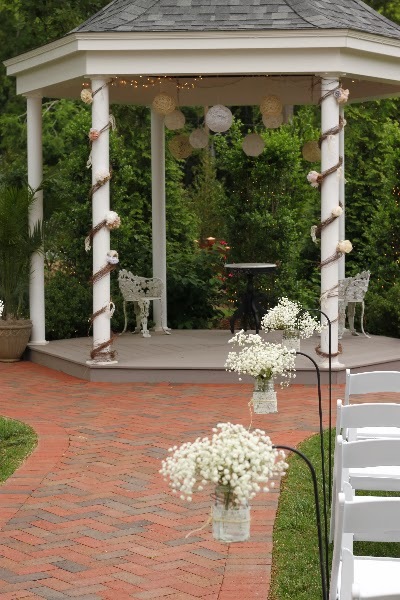 I'm also loving the decor inside the gazebo in this picture! 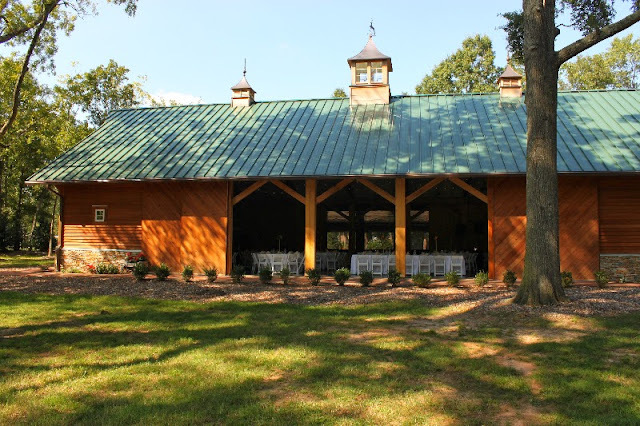 The reception will be in this barn. 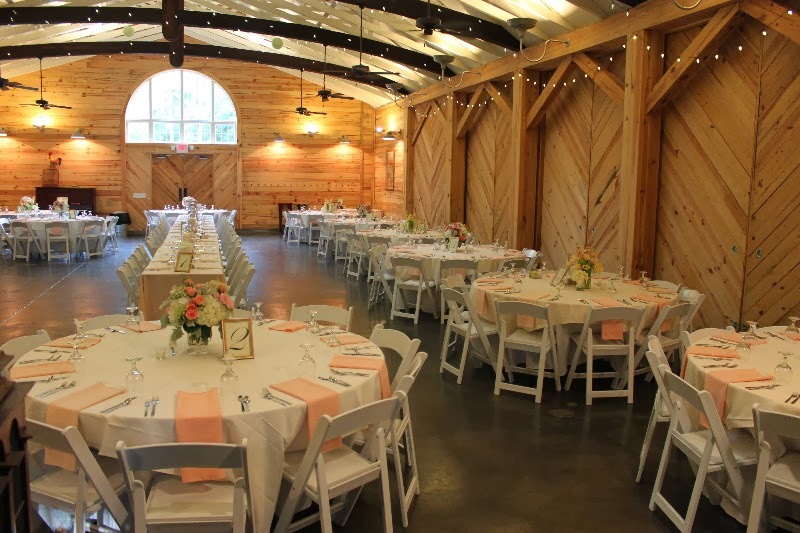 Originally, I was against this venue because I really didn't want a reception in a barn because I don't picture myself as a typical "Southern bride". But, after touring the venue and seeing all the different possibilities (and falling in love with every other aspect of the venue), I was sold. I also love that the doors open and we can have and indoor/outdoor reception. To the right of this picture is a fire pit that I'm very excited to use! We'e also thinking of having corn-hole and/or Bocci ball in this space here. For dinner, we're going to have a lot of small round tables like these and classy, elegant centerpieces. 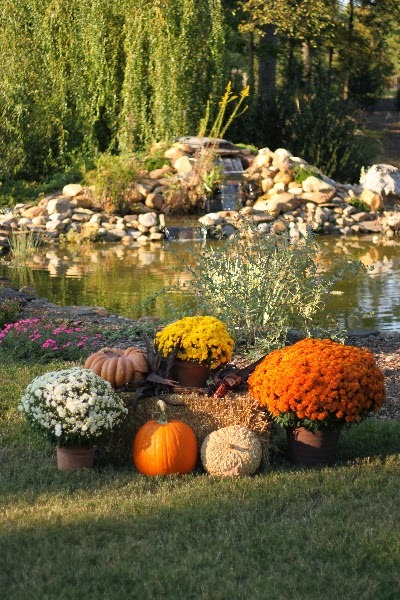 There will be tons of Fall aspects but absolutely NO mason jars (sorry, blogland). I should also add here that there will be no cowboy boots, either. Not our style. I'm also loving the lights around the rafters and plan to add more decorations, like these, to them, as well. 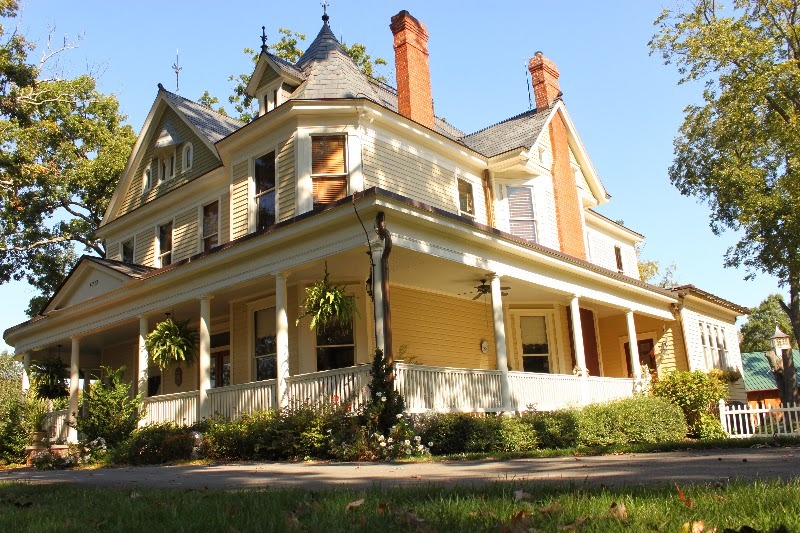 This house was built in the early 1900s (I believe...) and I plan on doing some pictures on this beautiful wraparound porch - I'm obsessed with it! There are two of these adorable bridges on the property and I love them! This one leads from the ceremony to the barn! I foresee some great pictures, here! 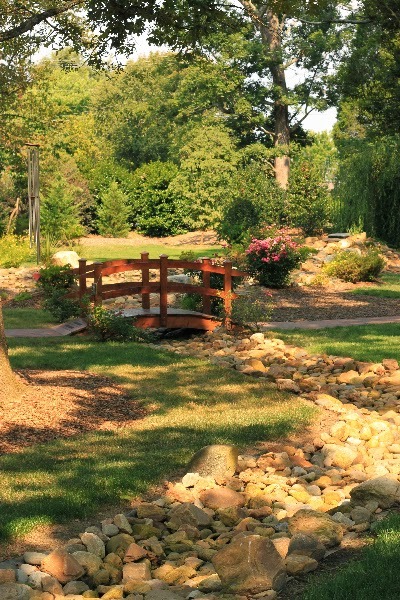 And what an adorable pond?! And their Fall decorations are already so cute and fit perfectly into our theme! And to finish this ramble of wedding post off, our colors and countdown (thanks to The Knot!). Umm I think you found the most perfect venue site ever!! Soo exciting!! YAY for a date & venue!!! BAH how did I miss this post?! I'M SO EXCITED FOR YOU! Plus that's my birthday eve and October is just great so I know your wedding will be AMAZING! 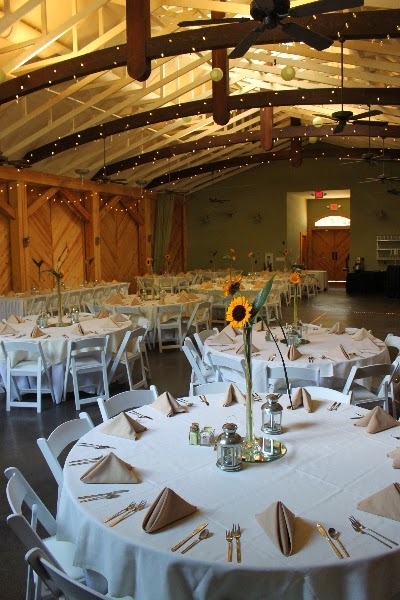 That venue looks gorgeous and I love all the fall themes you're thinking of :) Yayayay! !